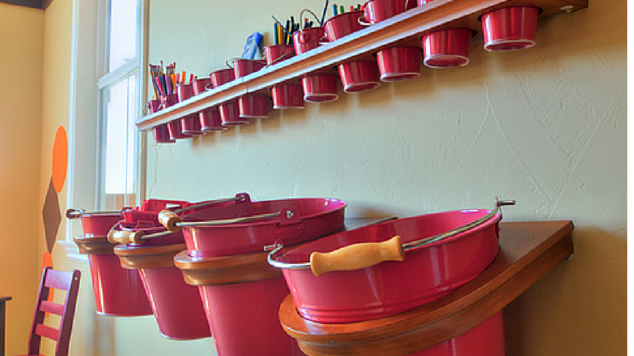 Are you looking to update your kids bedroom, but don’t want to spend too much money? Bedroom decorating ideas don’t always have to be expensive. Here are 10 Excellent Kids Bedroom Ideas on a Budget, that will have your kids running to their room! Jazz up a plain wall with stencils. You could use your child’s favourite movie character, or keep it simple like these stars.Using different colours will also add more interest. 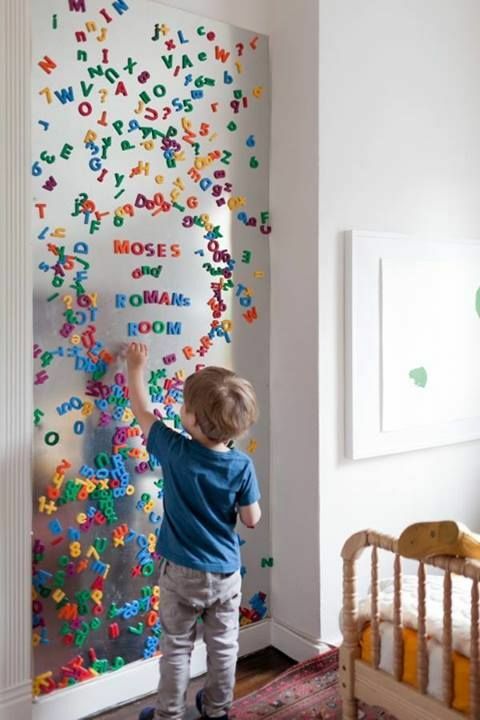 As your child’s tastes range these can be painted over and new stencils used. If you have a budding artist and they bring a lot of paintings home from school, hang them in their room to create some colourful, personal artwork. Hang string around the room and simply peg the pictures to it, and then as they progress, you can take down the older art and add up the new. Or invest in a stylish L’il Davinci Art Cabinet. The A4 frame stores up to 50 sheets and the latched, hinged, glass front door allows you to easily change & display your child’s latest masterpiece. It can sit portrait or landscape too. 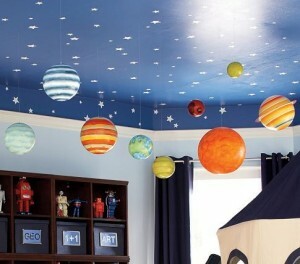 Add glow in the dark stars and planets to the ceiling and create a glowing starry night effect. To make it more interesting (and educational) you could hang planets down from the starlight ceiling too. 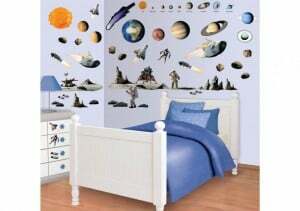 Decorate the bedroom walls with your child’s favourite characters wall stickers. And don’t worry about them being stuck there forever, as they are removable and restickable. Wall Murals have a large range, so you will be sure to find something for your scheme. 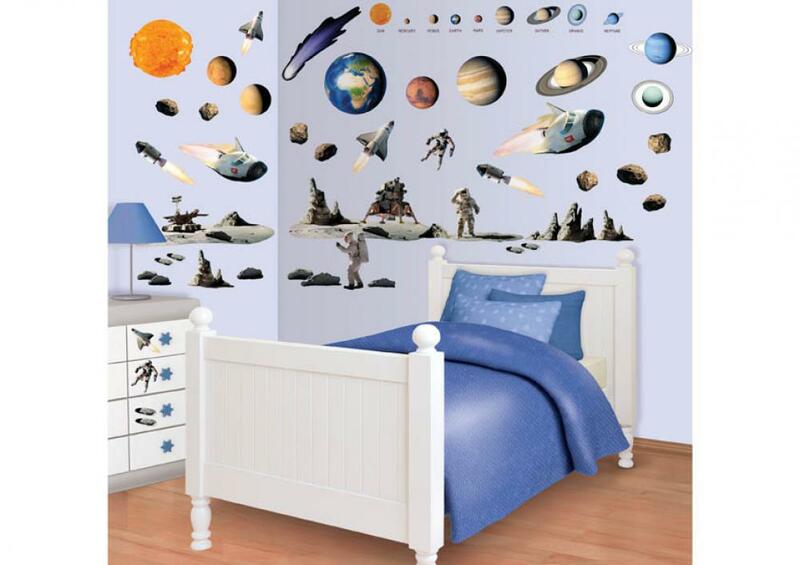 Or if you have the space and want something a bit more dramatic, try one of their murals. Spruce up old furniture with a lick of paint. 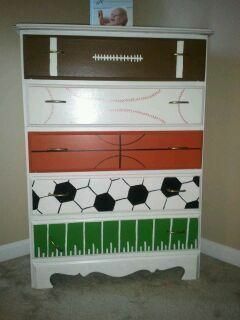 You can paint a chest of drawers, wardrobe, bedside cabinets, desks, headboards etc. to fit in with the new colour scheme or go funky with multicolours on the drawers or legs. Maybe use stickers or stencils to jazz it up even more. Create some interesting wall storage for your child’s endless “things” with some mini colourful buckets attached to the wall. Perfect for pencils and colouring materials over desk areas. Your child probably already has plenty of lego and this idea for a Lego Wall is a neat way of storing the collection as it grows, and making the room colourful and different each day. You decide – use different colour baseplates or the same, cover a whole wall or just a small section. 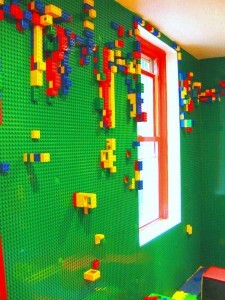 Securely stick the baseplates to the wall, and let your kid enjoy adding the lego. And if a whole wall is too much – stick up some baseplates inside frames and allow your child to create changing artworks. No need to buy a new bed but to make it look new just build a canopy over it. 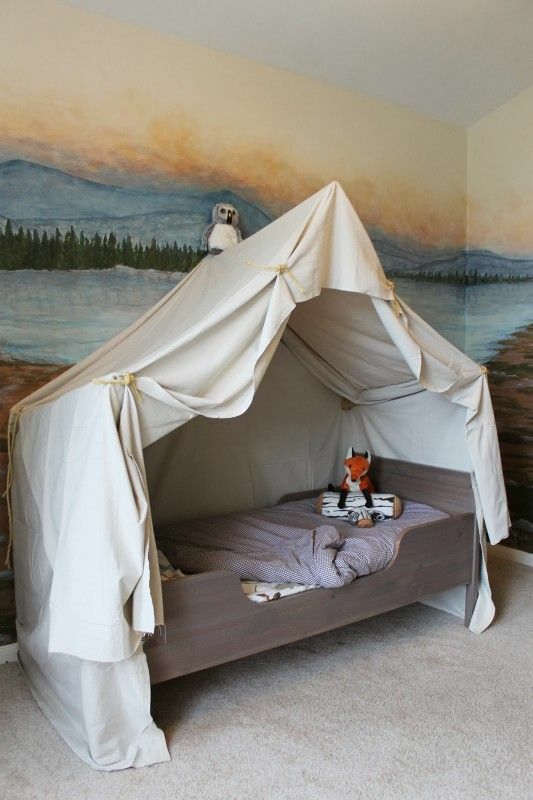 It can be romantic for young girls or tent-like for young boys. 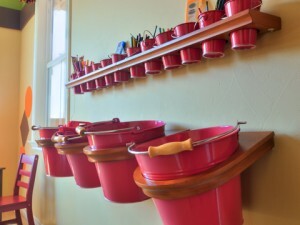 The material can be swapped around simply giving the room a new look each time. We love this design from Remodel-aholic – bringing outdoor camping inside. You might even want to sleep in this bed yourself! 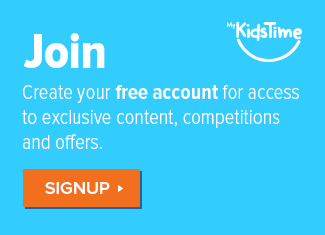 If your child loves books (and who doesn’t? ), then a wall full of books can be a storage saver and a great way to encourage reading. It doesn’t have to be large shelves sticking out; just keep to a few inches like a dado rail with a lip and place the books horizontal to the wall so the colourful cover faces out. This makes for easy access during bedtime reading. Over to you! Let us know you budget-friendly kids bedroom ideas in comments below. 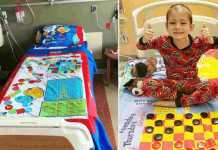 Next articleWATCH: I’m a Daddy and I Know It!